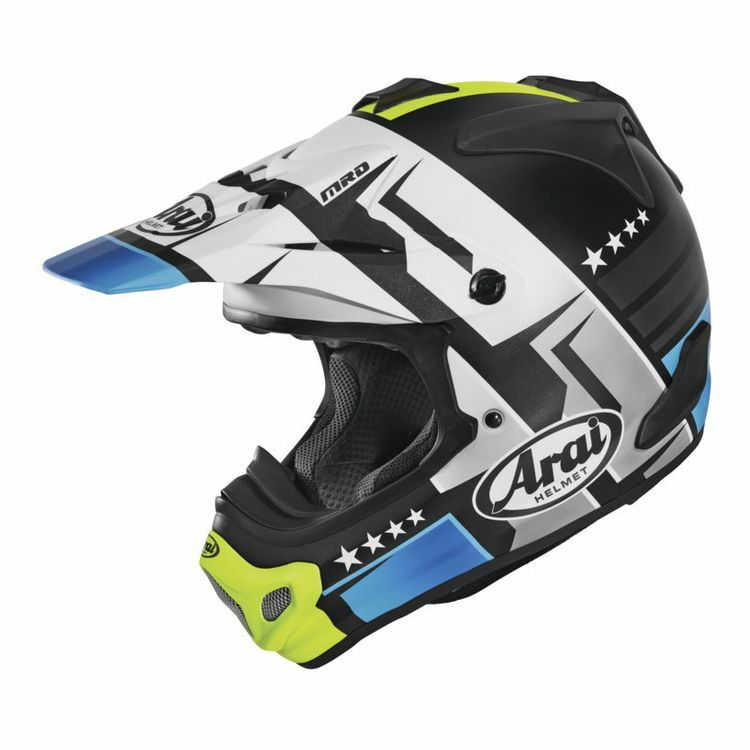 The Arai VX Pro4 Helmet is for the serious off-road rider. The cLc (complex Laminate construction) shell is based on Arai's R75 Shape Concept and is optimized for strength, and the peak, mouth vent and top vents are all designed to break away upon impact, leaving less surface mass to catch or bind. The Facial Contour System (FCS) works with a foam spring support in the cheek pad that compresses and rebounds as you remove or put on the helmet, and feature Arai's signature triple-density foam construction. The eyeport is extremely wide and is large enough to accommodate even the largest goggles for a panoramic view of your surroundings. All the VX Pro vents have been redesigned, including a chin vent which has been moved to the outside of the helmet, which in turn makes the helmet roomier in the chin area.